What do you think of when you hear the word „landscape“ or rather „landscape“ in combination with art? Oil paintings? Old Dutch Masters? Rocks, Hills, Mountains? We think of Cody Cobb and his amazing sceneries! His photographs come along silently, unagitated but definitely intense. The rocks and mountains on the images are real. There is no doubt about that – but is this really our world? Cody’s images somehow evoke the feeling that his motives are not from this world. Real, but somehow surreal His works give you the feeling that you are looking at the world from far far away – maybe a bit like looking at the earth from above. 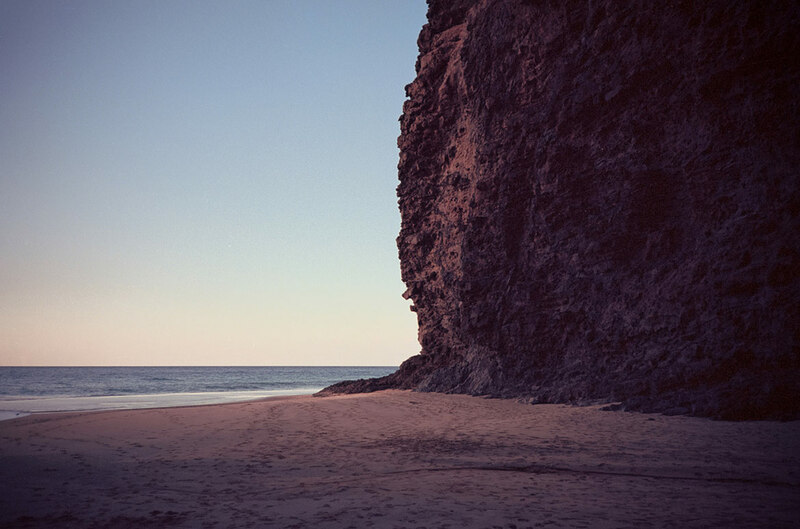 Cobb manages to capture not only the beauty of isolated and remote landscapes, his images also have an absorbing force. They do not only allow you take a look at the world outside there in the American mountains, they rather draw you into them! Looking away can be difficult – at least it is for us. What do you think? Check out the images! Cody Cobb takes his amazing photos hiking, climbing and roaming the mountain ranges in the West of America. Keep on roaming – and come back with more photographs! Lookfilter’s interview with Cody Cobb! Thank you, Cody! My friend Alex Gaidouk inspired me to document our explorations of the industrial wastelands and desolate landscapes of Southern Louisiana. Now I’m exploring different landscapes but it feels like I’m making the same observations of geometry, unintentional color harmonies and soothing emptiness. Currently, I’m enjoying the combination of a Yashica T4 and a Fuji X100 (with a 28mm wide angle adapter). I think they really compliment each other and are both incredibly easy to carry around on long hikes. I also shoot with a Mamiya 7II but my computer can’t handle the large scans of 6×7. I have quite a backlog of film that I really need to get developed. Why do you concentrate on landscapes? I’m really into backpacking, rock climbing and exploring nature at the moment. Photography is secondary to the experience of roaming around in the mountains. I don’t have a preference. They both have obvious advantages and disadvantages and I see no reason to restrict myself to one format. The photos I shoot on film get scanned as 48-bit raw images and processed along with the files from my Fuji X100. The photos I shoot with the X100 get spit out of a Chromira onto light-sensitive photo paper and processed in chemicals. My process is something of a hybrid of analog and digital techniques. I think that is mostly the result of being introduced to photography through digital cameras but being inspired by the previous generation of photographers who shot film. The timing of the shift in those overlapping technologies seems to have inspired experimentation in contemporary photography unique to this time period. 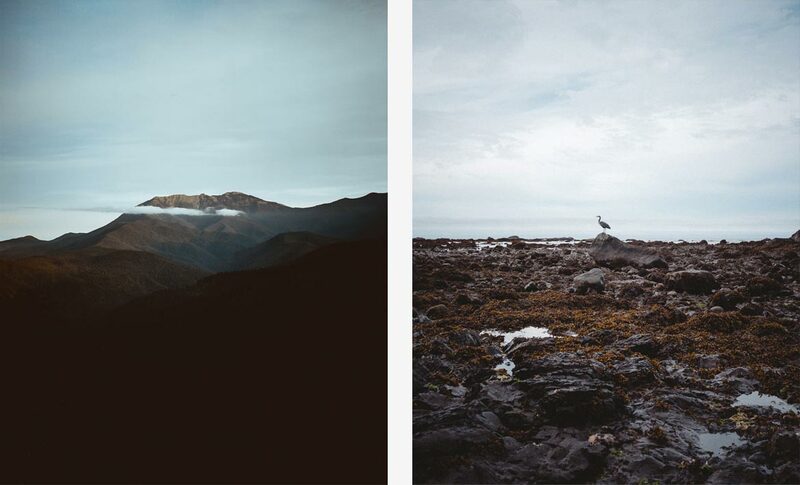 Vaguely mystical portraits of rocks. What are your next/current projects? Where will your next project take you too? I’m currently home in Seattle taking a break from shooting so that I can replenish my funds, sleep in a bed, make some prints and plan my next trip. How do you know that you have the perfect motive in front of you? How do you recognise the perfect moment? Can you actually feel it? It’s just something I notice when the light and dust align. I can feel my brain squirting dopamine when it happens. What message(s) do you want to communicate through your pictures? I don’t think my photos have any specific message embedded. I’d rather they just temporarily transport the viewer to a distant land. In which city/country do you feel the most creative. Where are the right vibes to create images. The entire American West is really exciting to me. There’s just so much variety in the landscapes. I would really love to explore Asia and Eastern Russia, too. Is there something you have always with you during jobs / sessions – apart from your equipment, of course. Oskri coconut bars covered in dark chocolate. Check out Cody Cobb’s website for more.